Mumtaz Qadri, a policeman jailed for murdering Punjab governor Salman Taseer, in a religiously-motivated attack incited a prison guard to shoot an elderly British man convicted of blasphemy, according to an internal inquiry. Mohammad Asghar, whom British doctors say is seriously mentally ill, was shot and wounded by a guard at Adiyala jail in Rawalpindi last month. The 70-year-old was sentenced to death for blasphemy in January for claiming to be a prophet in a case that has prompted concern from British Prime Minister David Cameron. The prison guard Mohammad Yousuf had spent more than two weeks guarding Qadri, who killed Taseer three years ago, a senior jail official said. He said an initial inquiry by a four-member committee found that Qadri had also prepared two other prison officers to hunt down blasphemy convicts in the prison. 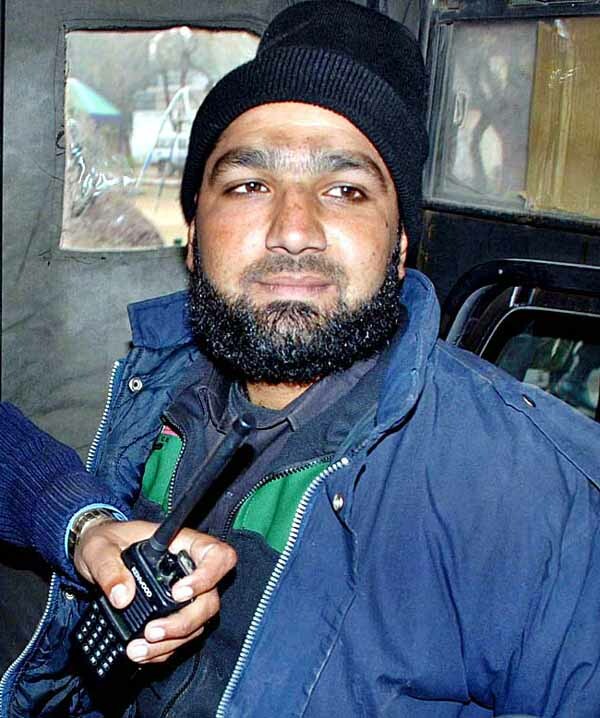 “The accused [Yousuf] was deployed outside the cell of Mumtaz Qadri during the incident and he had confessed to taking religious lessons from him,” the jail official said on condition of anonymity. The claims will heighten concerns about staff being radicalised by hardline inmates in aging and overcrowded prisons. Qadri, who was Taseer’s bodyguard, shot him dead at an Islamabad coffee shop over the politician’s call for blasphemy laws to be reformed. Qadri was feted as a hero by a wide section of the public, including lawyers, and was even showered with rose petals as he arrived at court for a trial hearing. The official’s account of events was supported by three other prisoners held in the same part of the jail, who said guards regularly took religious instruction from Qadri. “I was sleeping when I woke to the sound of gunshots and I saw the prison staff grabbing one of their fellows while Asghar was lying on the ground in a pool of blood,” an inmate living next to Asghar’s cell said. A second prisoner who saw the attack said a guard appeared in the wing and demanded to know where Asghar was. “The prison staff usually shout at us and I thought Asghar’s family or lawyers must have sent him something, so I didn’t pay any attention, but then I heard the first gunshot,” the prisoner said. He said Asghar was trying to hide in the bathroom area of his cell while the gunman was firing at him. “He was lucky that he reached the bathroom and the other prison staff arrived to grab the assassin, otherwise he would have been killed”, he said. Asghar, diagnosed with paranoid schizophrenia in Britain in 2010, had declared his prophethood in court and included a reference to it on his business card, a government prosecutor said at the time of his trial. Blasphemy is an extremely sensitive issue in Pakistan, where 97 per cent of the population is Muslim, and insulting the Prophet Muhammad (PBUH) can carry the death penalty. Why has he not been executed? Mumtaz Qadri should be confined to solitary imprisonment because he has proved to be agent provocateur, inciting people to kill prisoners and taking law in his hand.